Israel captures the Gaza Strip and the Sinai Peninsula from Egypt, the West Bank (including East Jerusalem) from Jordan, and the Golan Heights from Syria. Relations between Israel and its neighbours had never fully normalized following the Suez canal and had taken Sharm el Sheikh in the south of the peninsula. 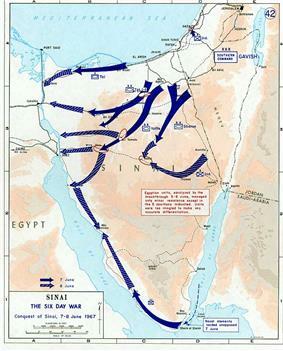 Conquest of the Sinai was completed on June 8 when Israeli forces reached the peninsula's western coast. On June 5, Nasser had induced Syria and Jordan to begin attacks on Israel by using the initially confused situation to claim that Egypt had defeated the Israeli air strike. In the afternoon of June 5, Israel retaliated against Jordan by launching an offensive to encircle East Jerusalem. Initially, Israeli forces held back from moving into the Old City for a number of reasons including potentially negative international reaction. However on June 7 the Israeli Minister of Defense, Moshe Dayan, gave the order to attack. After heavy fighting, the Israelis completed the conquest of the city later that day. Also on June 7, Israeli forces seized the West Bank cities of Nablus and Bethlehem from the Jordanians. When King Hussein ordered the Jordanian forces to retreat across the River Jordan, the Israeli forces occupied the rest of the West Bank unopposed. Israel's retaliation against Syria on June 5 took the form of an air strike in the evening which destroyed two-thirds of the Syrian air force, giving the Israelis air superiority over the Syrians. On June 9, Dayan ordered a ground invasion of the Golan Heights. Despite an extensive fortifications system and heavy fighting, the Israelis broke through the Syrian first line of defense. By June 10, Israeli forces had taken the Golan plateau and the Syrians had retreated eastward behind the ceasefire "purple line". On June 11, a ceasefire was signed. Arab casualties were far heavier than that of Israel: less than a thousand Israelis had been killed compared to over 20,000 from the Arab forces. Israel's military success was attributable to the element of surprise, an innovative and well executed battle plan and the poor quality and poor leadership of the Arab forces. Israel was left in control of the Gaza Strip and the Sinai Peninsula (taken from Egypt), the West Bank and East Jerusalem (taken from from Jordan) and the Golan Heights (taken from Syria). The area of Israeli control had increased by a factor of three, significantly contributing to the country's defensibility, as would be shown in the subsequent Yom Kippur War. Although Israeli morale and international prestige was greatly increased by the outcome of the war, the resulting displacement of civilian populations would have long-term consequences. 300,000 Palestinians fled the West Bank and about 100,000 Syrians left the Golan to become refugees. Across the Arab world Jewish minority communities were expelled. Israel made peace with Egypt following the Camp David Accords of 1978 and completeď a staged withdrawal from the Sinai in 1982. However, the position of the other occupied territories became a long-standing and bitter cause of conflict between Israel and the Palestinians, and the Arab world in general. After the 1956 Suez Crisis, Egypt agreed to the stationing of a United Nations Emergency Force (UNEF) in the Sinai to ensure all parties would comply with the 1949 Armistice Agreements. In the following years there were numerous minor border clashes between Israel and its Arab neighbors, particularly Syria. In early November, 1966, Syria signed a mutual defense agreement with Egypt. Soon thereafter, in response to PLO guerilla activity, including a mine attack that left three dead the Israeli Defence Force (IDF) attacked the village of as-Samu in the Jordanian-occupied West Bank. Jordanian units that engaged the Israelis were quickly beaten back. King Hussein of Jordan criticized Egyptian President Gamal Abdel Nasser for failing to come to Jordan's aid, and "hiding behind UNEF skirts". In May 1967, Nasser received false reports from the Soviet Union that Israel was massing on the Syrian border. Nasser began massing his troops in the Sinai Peninsula on Israel's border (May 16), expelled the UNEF force from Gaza and Sinai (May 19) and took up UNEF positions at Sharm el-Sheikh, overlooking the Straits of Tiran. Israel reiterated declarations made in 1957 that any closure of the Straits would be considered an act of war, or justification for war. Nasser declared the Straits closed to Israeli shipping on May 22–23. On May 30, Jordan and Egypt signed a defense pact. The following day, at Jordan's invitation, the Iraqi army began deploying troops and armored units in Jordan. They were later reinforced by an Egyptian contingent. On June 1, Israel formed a National Unity Government by widening its cabinet, and on June 4 the decision was made to go to war. The next morning, Israel launched Operation Focus, a large-scale surprise air strike that was the opening of the Six-Day War. James Reston, writing in The New York Times on May 23, 1967, noted, "In discipline, training, morale, equipment and general competence his [Nasser's] army and the other Arab forces, without the direct assistance of the Soviet Union, are no match for the Israelis.... Even with 50,000 troops and the best of his generals and air force in Yemen, he has not been able to work his way in that small and primitive country, and even his effort to help the Congo rebels was a flop." On the eve of the war, Egypt massed approximately 100,000 of its 160,000 troops in the Sinai, including all of its seven divisions (four infantry, two armoured and one mechanized), four independent infantry brigades and four independent armoured brigades. No fewer than a third of them were veterans of Egypt's continuing intervention into the Yemen Civil War and another third were reservists. These forces had 950 tanks, 1,100 APCs, and more than 1,000 artillery pieces. Although the powerful Jordanian radar facility at Ajloun detected waves of aircraft approaching Egypt and reported the code word for "war" up the Egyptian command chain, Egyptian command and communications problems prevented the warning from reaching the targeted airfields. The Israelis employed a mixed attack strategy: bombing and strafing runs against planes parked on the ground, themselves, and bombing the runways with special tarmac-shredding penetration bombs developed jointly with France to disable them and leave surviving aircraft unable to take off. The runway at the Arish airfield was spared, as the Israelis expected to turn it into a military airport for their transports after the war. The surviving aircraft were later taken out by several more attack waves. The operation was more successful than expected, catching the Egyptians by surprise and destroying virtually all of the Egyptian Air Force on the ground, with few Israeli losses. Only four unarmed Egyptian training flights were in the air when the strike began. A total of 338 Egyptian aircraft were destroyed and 100 pilots were killed, although the number of aircraft actually lost by the Egyptians is disputed. Attacks on other Arab air forces took place later in the day as hostilities broke out on other fronts. The numbers of Arab aircraft claimed destroyed by Israel were at first regarded as "greatly exaggerated" by the Western press. However, the fact that the Egyptian Air Force, along with other Arab air forces attacked by Israel made practically no appearance for the remaining days of the conflict proved that the numbers were most likely authentic. Throughout the war, Israeli aircraft continued strafing Arab airfield runways to prevent their return to usability. Meanwhile, Egyptian state-run radio had reported an Egyptian victory, falsely claiming that 70 Israeli planes had been downed on the first day of fighting. Gonen's brigade then advanced nine miles to Rafah in twin columns. Rafah itself was circumvented, and the Israelis attacked Sheikh Zuweid, eight miles to the southwest, which was defended by two brigades. Though inferior in numbers and equipment, the Egyptians were deeply entrenched and camouflaged. 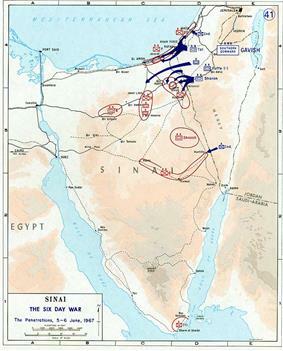 The Israelis were pinned down by fierce Egyptian resistance, and called in air and artillery support to enable their lead elements to advance. Many Egyptians abandoned after their commander and several of his staff were killed. As Sharon's division advanced into the Sinai, Egyptian forces staged successful delaying actions at Tarat Umm, Umm Tarfa, and Hill 181. An Israeli jet was downed by anti-aircraft fire, and Sharon's forces came under heavy shelling as they advanced from the north and west. The Israeli advance, which had to cope with extensive minefields, took a large number of casualties. A column of Israeli tanks managed to penetrate the northern flank of Abu Ageila, and by dusk, all units were in position. 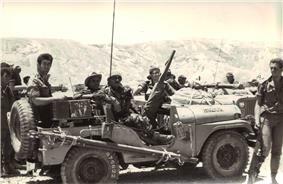 The Israelis then brought up 90 105mm and 155mm artillery guns for a preparatory barrage, while civilian buses brought reserve infantrymen under Colonel Yekutiel Adam and helicopters arrived to ferry the paratroopers. These movements were unobserved by the Egyptians, who were preoccupied with Israeli probes against their perimeter. Further south, the 8th Armored Brigade under Colonel Albert Mandler, initially positioned as a ruse to draw off invasion forces from the real invasion routes, attacked the fortified bunkers at Kuntilla, a strategically valuable position whose capture would enable Mandler to block reinforcements from reaching Um-Katef and to join Sharon's upcoming attack on Nakhl. The defending Egyptian battalion, outnumbered and outgunned, fiercely resisted the attack, hitting a number of Israeli tanks. However, most of the defenders were killed, and only three Egyptian tanks, one of them damaged, survived. By nightfall, Mendler's forces had taken Kuntilla. Israel's blocking action was partially successful. Only the Gidi pass was captured before the Egyptians approached it, but at other places, Egyptian units managed to pass through and cross the canal to safety. Due to the haste of the Egyptian retreat, soldiers often abandoned weapons, military equipment, and hundreds of vehicles. Many Egyptian soldiers were cut off from their units had to walk about 200 kilometers through by foot before reaching the Suez Canal with limited supplies of food and water and were exposed to intense heat. Jordan was reluctant to enter the war. Nasser used the obscurity of the first hours of the conflict to convince King Hussein that he was victorious; he claimed as evidence a radar sighting of a squadron of Israeli aircraft returning from bombing raids in Egypt, which he said was an Egyptian aircraft en route to attacking Israel. One of the Jordanian brigades stationed in the West Bank was sent to the Hebron area in order to link with the Egyptians. Hussein decided to attack. Israel assumed that the attacks were a symbolic gesture of solidarity with Egypt, and sent a message to King Hussein promising not to initiate any action against Jordan if it stayed out of the war. King Hussein replied that it was too late, "the die was cast". 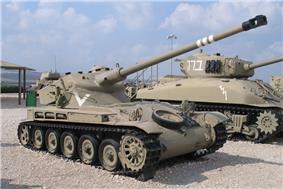 At 11:15 am, Jordanian howitzers began a 6,000-shell barrage at Israeli Jerusalem. The Jordanians initially targeted kibbutz Ramat Rachel in the south and Mount Scopus in the north, then ranged into the city center and outlying neighborhoods. Military installations, the Prime Minister's Residence, and the Knesset compound were also targeted. Israeli civilian casualties totalled 20 dead and about 1,000 wounded. Some 900 buildings were damaged, including Hadassah Ein Kerem Hospital. 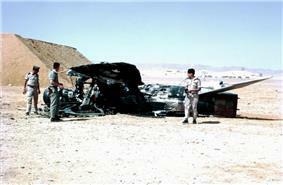 Shortly before 12:30 pm, the Israeli Air Force attacked Jordan's two airbases. The Hawker Hunters were refueling at the time of the attack. The Israeli aircraft came within two waves, the first of which cratered the runways and knocked out the control towers, and the second wave destroyed all 21 of Jordan's Hawker Hunter fighters, along with six transport aircraft and two helicopters. One Israeli jet was shot down by ground fire. Israeli aircraft also attacked H-3, an Iraqi Air Force base in western Iraq. During the attack, 12 MiG-21s, 2 MiG-17s, 5 Hunter F6s, and 3 Il-28 bombers were destroyed or shot down. A Pakistani pilot stationed at the base shot down an Israeli fighter and bomber during the raid. The Jordanian radar facility at Ajloun was destroyed in an Israeli airstrike. Israeli Fouga Magister jets attacked the Jordanian 40th Brigade with rockets as it moved south from the Damiya Bridge. Dozens of tanks were knocked out, and a convoy of 26 trucks carrying ammunition was destroyed. In Jerusalem, Israel responded to Jordanian shelling with a missile strike that devastated Jordanian positions. The Israelis used the L missile, a surface-to-surface missile developed jointly with France in secret. 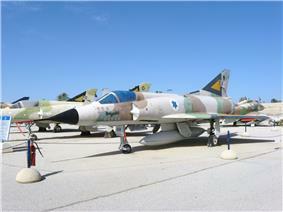 On the evening of June 5, the Israeli Air Force attacked Syrian airfields. The Syrian Air Force lost some 32 MiG 21s, and 23 MiG-15 and MiG-17 fighters, and two Ilyushin Il-28 bombers, two-thirds of its fighting strength. The Syrian aircraft that survived the attack retreated to distant bases without playing any further role in the ensuing warfare. Following the attack, Syria understood that the news it had heard from Egypt of the near-total destruction of the Israeli military could not have been true. On June 7 and 8, the Israeli leadership debated about whether the Golan Heights should be attacked as well; the attack on Syria was initially planned for June 8, but was postponed for 24 hours. At 3 am on June 9, Syria announced its acceptance of the cease-fire. Despite this, four hours later at 7 am, Israeli Defense Minister Moshe Dayan "gave the order to go into action against Syria". 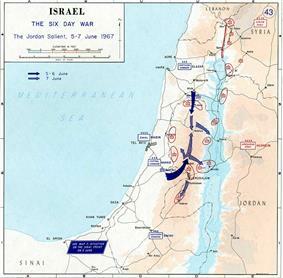 [i] On the 8 June, Moshe Dayan was against the attack since he was afraid of a possible Soviet intervention and the government accepted his opinion. On 9 June morning, he changed his mind and ordered the army to attack, without consulting or receiving the government authorization. Syria had supported the pre-war raids that had helped raise tensions and had routinely shelled Israel from the Heights, so some Israeli leaders wanted to see Syria punished. About two hours after the airstrikes began, the 8th Armored Brigade, led by Colonel Albert Mandler, advanced into the Golan Heights from Givat HaEm. Its advance was spearheaded by Engineering Corps sappers and eight bulldozers, which cleared away barbed wire and mines. As they advanced, the force came under fire, and five bulldozers were immediately hit. The Israeli tanks, with their maneuverability sharply reduced by the terrain, advanced slowly under fire toward the fortified village of Sir al-Dib, with their ultimate objective being the fortress at Qala. Israeli casualties steadily mounted. Part of the attacking force lost its way and emerged opposite of Za'ura, a redoubt manned by Syrian reservists. With the situation critical, Colonel Mandler ordered simultaneous assaults on Za'ura and Qala. Heavy and confused fighting followed, with Israeli and Syrian tanks struggling around obstacles and firing at extremely short ranges. Mandler recalled that "the Syrians fought well and bloodied us. We beat them only by crushing them under our treads and by blasting them with our cannons at very short range, from 100 to 500 meters." The first three Israeli tanks to enter Qala were stopped by a Syrian bazooka team, and a relief column of seven Syrian tanks arrived to repel the attackers. The Israelis took heavy fire from the houses, but could not turn back, as other forces were advancing behind them, and they were on a narrow path with mines on either side. The Israelis continued pressing forward, and called for air support. A pair of Israeli jets destroyed two of the Syrian tanks, and the remainder withdrew. The surviving defenders of Qala retreated after their commander was killed. Meanwhile, Za'ura fell in an Israeli assault, and the Israelis also captured the 'Ein Fit fortress. In the central sector, the Israeli 181st Battalion captured the strongholds of Dardara and Tel Hillal after fierce fighting. Desperate fighting also broke out along the operation's northern axis, where Golani Brigade attacked thirteen Syrian positions, including the formidable Tel Fakhr position. Navigational errors placed the Israelis directly under the Syrians' guns. In the fighting that followed, both sides took heavy casualties, but the Israelis lost all nineteen of their tanks and half-tracks. The Israeli battalion commander then ordered his twenty-five remaining men to dismount, divide into two groups, and charge the northern and southern flanks of Tel Fakhr. The first Israelis to reach the perimeter of the southern approach laid bodily down on the barbed wire, allowing their comrades to vault over them. From there, they assaulted the fortified Syrian positions. The fighting was waged at extremely close quarters, often hand-to-hand. Throughout the night, the Israelis continued their advance. Though it was slowed by fierce resistance, an anticipated Syrian counterattack never materialized. At the fortified village of Jalabina, a garrison of Syrian reservists, leveling their anti-aircraft guns, managed to hold off the Israeli 65th Paratroop Battalion for four hours before a small detachment managed to penetrate the village and knock out the heavy guns. Meanwhile, the 8th Brigade's tanks moved south from Qala, advancing six miles to Wasit under heavy artillery and tank bombardment. At the Banaias in the north, Syrian mortar batteries opened fire on advancing Israeli forces only after Golani Brigade sappers cleared a path through a minefield, killing sixteen Israeli soldiers and wounding four. On the next day, June 10, the central and northern groups joined in a pincer movement on the plateau, but that fell mainly on empty territory as the Syrian forces retreated. At 8:30 am, the Syrians began blowing up their own bunkers, burning documents and retreating. Several units joined by Elad Peled's troops climbed to the Golan from the south, only to find the positions mostly empty. When the 8th Brigade reached Mansura, five miles from Wasit, the Israelis met no opposition and found abandoned equipment, including tanks, in perfect working condition. In the fortified Banaias village, Golani Brigade troops found only several Syrian soldiers chained to their positions. The United States imposed en embargo on new arms agreements to all Middle East countries, including Israel. The embargo remained in force until the end of the year, despite urgent Israeli requests to lift it. Our airmen, who struck the enemies' planes so accurately that no one in the world understands how it was done and people seek technological explanations or secret weapons; our armoured troops who beat the enemy even when their equipment was inferior to his; our soldiers in all other branches ... who overcame our enemies everywhere, despite the latter's superior numbers and fortifications-all these revealed not only coolness and courage in the battle but ... an understanding that only their personal stand against the greatest dangers would achieve victory for their country and for their families, and that if victory was not theirs the alternative was annihilation. According to Heikal, Nasser had admitted his responsibility for the military defeat in June 1967. According to historian Abd al-Azim Ramadan, Nasser's mistaken decisions to expel the international peacekeeping force from the Sinai Peninsula and close the Straits of Tiran in 1967 led to a state of war with Israel, despite Egypt's lack of military preparedness. Hammel, Eric (October 2002). "Sinai air strike: June 5, 1967". Military Heritage 4 (2): 68–73. Feron, James (May 13, 1967). "Israelis Ponder Blow at Syrians; Some Leaders Decide That Force is the Only Way to Curtail Terrorism Some Israeli Leaders See Need for Force to Curb Syrians". The New York Times. Hajjar, Sami G. The Israel-Syria Track, Middle East Policy, Volume VI, February 1999, Number 3. Retrieved September 30, 2006. Hattendorf, John B. (2000). Naval Strategy and Power in the Mediterranean: Past, Present and Future. Taylor & Francis. "Israelis Say Tape Shows Nasser Fabricated 'Plot'; Recording Said to Be of Phone Call to Hussein Gives Plan to Accuse U.S. and Britain". The New York Times. June 9, 1967. p. 17. Retrieved June 28, 2007. Krauthammer, Charles (May 18, 2007). "Prelude to the Six Days". The Washington Post. pp. A23.
. September 16, 1983. p. 1.The Boston Globe"McNamara: US Near War in '67". Parker, Richard B. (August 1997). "USAF in the Sinai in the 1967 War: Fact or Fiction". Journal of Palestine Studies. XXVII (1): 67–75. Podeh, Elie (Winter 2004). "The Lie That Won't Die: Collusion, 1967". Middle East Quarterly 11 (1). Segev, Tom (2005). Israel in 1967. Keter. Smith, Hedrick (June 15, 1967). "As the Shock Wears Off; Arab World, Appraising Its Defeat, Is Split as It Gropes for Strategy". The New York Times. p. 16. Retrieved June 28, 2006. Smith, Hedrick (September 15, 1967). "Envoys Say Nasser Now Concedes U.S. Didn't Help Israel". The New York Times. pp. Page 1, Col. 5, Page 3, Col. 1. Tolan, Sandy (June 4, 2007). "Rethinking Israel's David-and-Goliath past". Salon.com. Retrieved April 29, 2010. Finkelstein, Norman (2003). Image and reality of the Israel-Palestine conflict. Verso. ^ a b "Pakistani Pilots in Arab Israel War". Opinion Maker. Archived from the original on 2013-05-13. Retrieved 2013-05-13. ^ Zaloga, Steven (1981). Armour of the Middle East Wars 1948-78 (Vanguard). Osprey Publishing. ^ a b Herzog 1982, p. 183. ^ "FIRST UNITED NATIONS EMERGENCY FORCE (UNEF I) - Background (Full text)". Rauschning, Wiesbrock & Lailach 1997, p. 30; Sachar 2007, pp. 504, 507–8. ^ Shemesh, Moshe (2007). Arab Politics, Palestinian Nationalism and the Six Day War: The Crystallization of Arab Strategy and Nasir's Descent to War, 1957–1967. Sussex Academic Press. p. 118. ^ Tessler, Mark (1994). A History of the Israeli-Palestinian Conflict. John Wiley & Sons. p. 378. ^ Samir A. Mutawi (18 July 2002). Jordan in the 1967 War. Cambridge University Press. p. 93. ^ "Interference, by armed force, with ships of Israeli flag exercising free and innocent passage in the Gulf of Aqaba and through the Straits of Tiran will be regarded by Israel as an attack entitling it to exercise its inherent right of self-defence under Article 51 of the Charter and to take all such measures as are necessary to ensure the free and innocent passage of its ships in the Gulf and in the Straits." "Statement to the General Assembly by Foreign Minister Meir, 1 March 1957". Israel Ministry of Foreign Affairs - The State of Israel. ^ Reston, James (May 24, 1967). "Washington: Nasser's Reckless Maneuvers; Cairo and Moscow The U.S. Commitment The Staggering Economy Moscow's Role". The New York Times. p. 46. ^ Bowen 2003, pp. 114–115 (author interview with General Salahadeen Hadidi who presided over the first court martial of the heads of the air force and the air defense system after the war). ^ Oren, 176, says 282 out of 420. Morris, 318, says 304 out of 419. Mark Tessler, A History of the Israeli-Palestinian Conflict (Indiana, 1994), p. 396, says over 350 planes were destroyed. ^ a b "Part 4: The 1967 Six Day War". Retrieved April 20, 2011. ^ "Six Day War". Israeli-weapons. Retrieved February 1, 2012. ^ Leslie Stein ,The Making of Modern Israel: 1948-1967, Polity Press,2013 p.181. ^ "The road to Naksa". Cairo, Al-Ahram. 7–13 June 2007. Retrieved 7–13 June 2013. ^ "On June 5, Israel sent a message to Hussein urging him not to open fire. Despite shelling into West Jerusalem, Netanya, and the outskirts of Tel Aviv, Israel did nothing." The Six Day War and Its Enduring Legacy. Summary of remarks by Michael Oren at the Washington Institute for Near East Policy, May 29, 2002. ^ "United Nations June 5, 1967". United Nations. Retrieved February 1, 2012. ^ "Pacifica Military History – Free Samples". Pacificamilitary.com. June 5, 1967. Retrieved February 1, 2012. 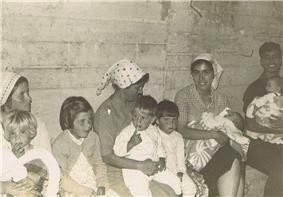 ^ "The Return to Hebron – June, 1967". Hebron.com. July 23, 2006. Retrieved February 1, 2012. ^ Video: Cease-Fire. Uneasy Truce In Mid-East, 1967/06/13 (1967). ^ "A Campaign for the Books". ^ William B. Quandt (2001). Peace Process: American Diplomacy and the Arab-Israeli Conflict Since 1967. University of California Press. p. 43. ^ Elie Podeh; Onn Winckler (1 December 2004). Rethinking Nasserism: Revolution and Historical Memory in Modern Egypt. University Press of Florida. pp. 110, 111. ^ Elie Podeh; Onn Winckler (1 December 2004). Rethinking Nasserism: Revolution and Historical Memory in Modern Egypt. University Press of Florida. pp. 105, 106. ^ "The 40th anniversary of the Six-Day War / Rate of return". Haaretz.com. June 1, 2007. Retrieved October 10, 2014. ^ Itamar Rabinovich; Haim Shaked. From June to October: The Middle East Between 1967 And 1973. Transaction Publishers. p. 192. ^ "Distribution of the Palestinian Population And Jewish Settlers In the West Bank and Gaza Since 1967". Retrieved July 17, 2010. ^ "Golan Heights". Retrieved October 8, 2005. ^ "Fact Sheet No. 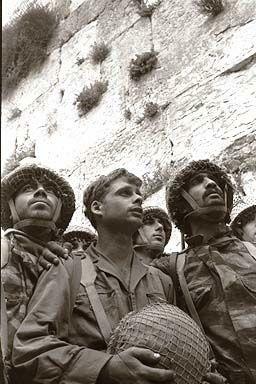 52, Remembering the Six Day War". May 7, 2007. Retrieved March 28, 2008. ^ a b Quigley, John (2005). The Case for Palestine: An International Law Perspective. London: Duke University Press. p. 163. ^ "BBC Panorama". BBC News. February 6, 2009. Retrieved February 1, 2012. ^ "Egypt State Information Service". Sis.gov.eg. Retrieved February 1, 2012. ^ Laub, Karin 'Historians: Israeli troops killed many Egyptian POWs' at the Wayback Machine (archived December 11, 2003), Associated Press, August 16, 1995. Retrieved from the Wayback Machine. October 14, 2005. ^ Ibrahim, Youssef (September 21, 1995). "Egypt Says Israelis Killed P.O.W. 's in '67 War". The New York Times. ^ "McNamara: US Near War in '67". The Boston Globe. September 16, 1983. p. 1. ^ Tim Fischer, 'Six days of war, 40 years of secrecy,' The Age May 27, 2007. ^ John Quigley, http://books.google.com.au/books?id=0zEi3qGWLFIC&pg=PA93 The Six-Day War and Israeli Self-Defense: Questioning the Legal Basis for Preventive War, Cambridge University Press 2013 p.93. Cf Dean Rusk,As I Saw it: A Secretary of State's Memoirs, W.W. Norton, 1990 pp.386-388. ^ "Right of return: Palestinian dream". UK: BBC. April 15, 2004. .
, p. 375 From War to War: The Arab–Israeli Confrontation, 1948–1967, Nadav Safran, and Story of My Life Lenczowski 1990, p. 105–115, Citing Moshe Dayan, ^4. In addition, between 80,000 and 110,000 Syrians fled the Golan Heights, of which about 20,000 were from the city of Quneitra. According to more recent research by the Israeli daily Haaretz, 130,000 Syrian inhabitants fled or were expelled from the territory, most of them by the Israeli army. As a result of the war, a wave of Palestinians was displaced. An estimated 300,000 Palestinians left the West Bank and Gaza, most of whom settled in Jordan. At the commencement of hostilities, both Egypt and Israel announced that they had been attacked by the other country. The Israeli government later abandoned its initial position, acknowledging Israel had struck first, claiming that it was a preemptive strike in the face of a planned invasion by Egypt. On the other hand, the Arab view was that it was unjustified to attack Egypt. Between 776 and 983 Israelis were killed and 4,517 were wounded. 15 Israeli soldiers were captured. Arab casualties were far greater. Between 9,800 and 15,000 Egyptian soldiers were listed as killed or missing in action. An additional 4,338 Egyptian soldiers were captured. Jordanian losses are estimated to be 6,000 killed or missing and 533 captured, though Gawrych cites a number of some 700 killed in action with another 2,500 wounded. The Syrians were estimated to have sustained some 1,000 killed in action. 367 Syrians were captured. The aftermath of the war is also of religious significance. Under Jordanian rule, Jews were effectively barred from visiting the Western Wall (even though Article VIII of the 1949 Armistice Agreement demanded Israeli Jewish access to the Western Wall). Jewish holy sites were not maintained, and their cemeteries had been desecrated. After the annexation to Israel, each religious group was granted administration over its holy sites. Despite the Temple Mount's importance in Jewish tradition, the al-Aqsa Mosque is under sole administration of a Muslim Waqf, and Jews are barred from praying on the Temple Mount, although they are allowed to visit it. On November 22, 1967, the United Nations Security Council adopted Resolution 242, the "land for peace" formula, which called for Israeli withdrawal "from territories occupied" in 1967 and "the termination of all claims or states of belligerency". Resolution 242 recognized the right of "every state in the area to live in peace within secure and recognized boundaries free from threats or acts of force." Israel returned the Sinai to Egypt in 1978, after the Camp David Accords, and disengaged from the Gaza Strip in the summer of 2005, though its army frequently re-enters Gaza for military operations and still retains control of border crossings, seaports, and airports. The 1967 War laid the foundation for future discord in the region. Both Jordan and Egypt eventually withdrew their claims to the West Bank and Gaza (the Sinai was returned on the basis of the Camp David Accords of 1978). After Israeli conquest of these newly acquired 'territories', a large settlement effort was launched to secure Israel's permanent foothold. There are now hundreds of thousands of Israeli settlers in these territories, though the Israeli settlements in Gaza were evacuated and destroyed in August 2005 as a part of Israel's unilateral disengagement plan. Yet another aspect of the war touches on the population of the captured territories: of about one million Palestinians in the West Bank, 300,000 (according to the United States Department of State) fled to Jordan, where they contributed to the growing unrest. The other 600,000 remained. In the Golan Heights, an estimated 80,000 Syrians fled. Only the inhabitants of East Jerusalem and the Golan Heights became entitled to receive full Israeli citizenship, as Israel applied its law, administration and jurisdiction to these territories in 1967 and 1981 respectively, and the vast majority in both territories declined to do so. See also Israeli-Palestinian conflict and Golan Heights. In September, the Khartoum Arab Summit resolved that there would be "no peace, no recognition and no negotiation with Israel". However, as Avraham Sela notes, the Khartoum conference effectively marked a shift in the perception of the conflict by the Arab states away from one centered on the question of Israel's legitimacy toward one focusing on territories and boundaries and this was underpinned on November 22 when Egypt and Jordan accepted United Nations Security Council Resolution 242. Nasser forestalled any movement toward direct negotiations with Israel. In dozens of speeches and statements, Nasser posited the equation that any direct peace talks with Israel were tantamount to surrender. The war also had a great effect on diaspora Jewry, which was swept up in overwhelming support for Israel. According to Michael Oren, the war enabled American Jews to "walk with their backs straight and flex their political muscle as never before. American Jewish organizations which had previously kept Israel at arms length suddenly proclaimed their Zionism." Record numbers of Jewish immigrants arrived from Western countries after the war, although many of them would later return to their countries of origin. Most notably, the war stirred Zionist passions among Jews in the Soviet Union, who had by that time been forcibly assimilated. Many Soviet Jews subsequently applied for exit visas and began protesting for their right to immigrate to Israel. Following diplomatic pressure from the West, the Soviet government began granting exit visas to Jews in growing numbers. From 1970 to 1988, some 291,000 Soviet Jews were granted exit visas, of whom 165,000 immigrated to Israel and 126,000 immigrated to the United States.